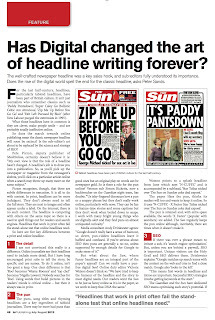 Sands Media Services: Has digital changed the art of headline writing? 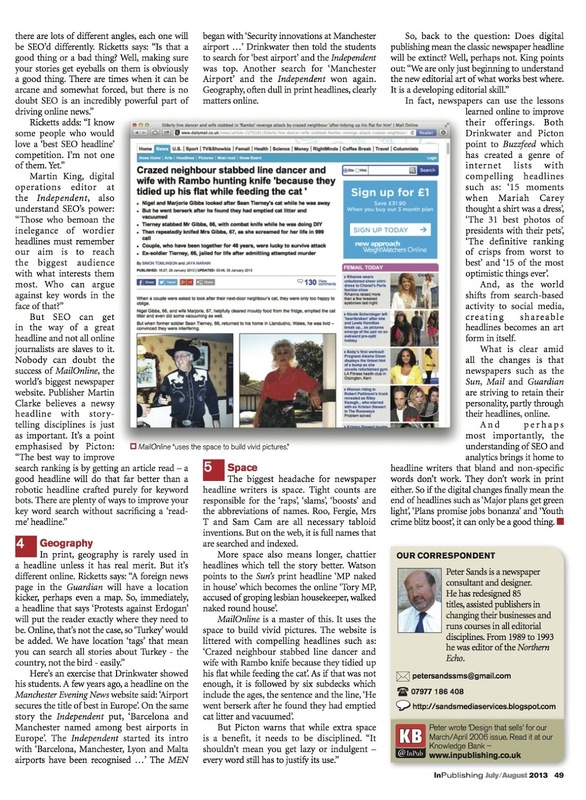 Here is my latest article for InPublishing magazine - looking at the differences between writing headlines for print and online. There is some good insight by those who know, including Mail Online deputy publisher Pete Picton, Guardian backbencher Simon Ricketts, The Sun's Victoria Watson, the Indie's Martin King and media consultant Andy Drinkwater. 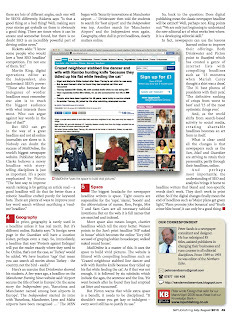 If you have great eyesight you can read the print version by clicking on the images above or, if you prefer, you can read it online here. The headlines are the same in both versions. 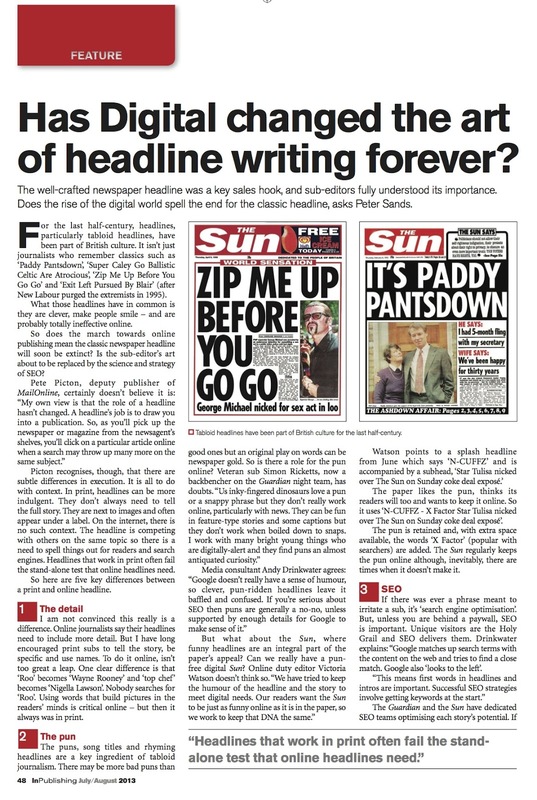 If you missed my last InPublishing article, on humour in newspapers, it's here.